The members of the State Board of Victim Services regret that you have been the victim of a crime. In addition to your personal losses, the experience may have created stress, fear and confusion for you. We want to help. The State Board of Victim Services was created by the Maryland General Assembly to address the unique needs of crime victims and to make recommendations for improving state and local crime victim services. A brochure has been designated to inform you of victim’s rights and services and to help you use them. It outlines the steps a case goes through in the criminal justice system process and explains the responsibilities of the criminal justice system to crime victims and witnesses. 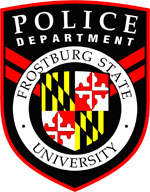 This brochure is available at the University Police Department and is given out to every victim or witness of a crime reported to the police. Under the Maryland Constitution, state laws and guidelines, a victim of crime must be treated with dignity, respect and sensitivity during all phases of the criminal justice process. After a crime has been committed, and throughout the criminal justice process, different rights and services apply to specific victims during periods listed below. If the police arrest a suspect, they will take him/her before a Court Commissioner. Information regarding your case will be provided to the local prosecutor also called the State’s Attorney. The Court Commissioner will decide if there is enough evidence-known as “probable cause” to charge the suspect with the crime, and if so, on what conditions the suspect could be released until a hearing before a judge. If the suspect is held in custody after the Court Commissioner hearing, he/she will be entitled to a bail hearing before a judge. The judge will then decide whether to release the suspect, perhaps with certain conditions, or to keep him/her in jail until a trial is held. A defendant can only be detained if the facts show he/she is a danger to the community and/or there is a risk that he/she will not show up at the trial. Most suspects are released. The prosecutor will review the information provided by the police and determine what charges, if any, should be filed against the suspect in District Court of Circuit Court. In most serious cases, the prosecutor may use a Grand Jury to make these decisions. In serious cases a suspect has the right to ask the judge for a Preliminary Hearing. At this hearing the judge will decide if there is enough evidence or “probable cause” to continue with the charges against the suspect. If the prosecutor proceeds with the case, a trial will be set by the court. Due to crowed court dockets, the case may take several months to come to trial. The prosecutor will notify the victim and key witnesses if and when it is time to prepare for trial. Once a suspect(s) now called the defendant(s) have been charged with a crime, the defendant’s attorney will try to discover information to help prepare the case before trial. The attorney will probably ask for, and generally receive, your name and address. However, you are not required to talk to the defendant’s attorney or his representative. If a defendant threatens you, or interferes with you in any way, do not hesitate to call the police. If you are acting as a witness for the prosecution and your safety has been threatened as a result, contact the State’s Attorney immediately. It is a crime for the defendant to do anything to stop you from testifying at the trial. Victim/Witness Protection Resources may be available to increase your protection and enable your participation in court proceedings. Before the trial, the defendant may appear at various court hearings. As a victim, you have the right to attend these hearings, the trial, and any related hearings or proceedings. You may ask the prosecutor to notify you of any appearance that you should attend. Often the judge may grant several “continuances” or delays, at the request of the dense or the prosecution. Even though delays and continuances are frustrating, it is important that you continue to appear in court when you are requested. A victim has the right to be present at the trial. A victim can request that his address and phone number remain confidential, and not be listed in the court records. The prosecutor can help you prepare for the trial by telling you what questions to expect the defendant’s attorney may ask. If the defendant is found guilty, the judge will hold a sentencing hearing, often at a later date. The judge has several sentencing options including: confinement in a prison or jail, probation, payment of fines or restitution, or any combination of these options. Probation is the most frequently imposed sentence. Probation means that a convicted offender will be released and may be under the supervision of a probation officer. Probation often includes special conditions such as drug testing. In every case resulting in serious physical injury or death, a victim or the victim’s representative may address the court to describe the impact of the crime. The court must also consider a victim’s written impact statement describing the effects of the crime on the victim. A victim also has the right to request restitution. The State’s Attorney will help you make this request to the judge. After the trial is over, a victim may have the right to have stolen or other property returned. The State’s Attorney will help you retrieve your property. Finally, a victim has the right to be notified of any further hearings related to the defendant’s sentence or release by the Division of Corrections, or the Parole Commission. The State’s Attorney will see that your request to be notified is forwarded to the right place for future contact. Throughout the criminal justice process, and even after it has been completed, you may experience physical, emotional, or psychological distress as a result of your victimization. This may be normal, and help is available. A completed claim form sent to CICB within 180 days of the crime.